Are you a fitness freak and looking for the best meditation chair for yourself? No wonder people who are health conscious and meditation enthusiast look out for the tools which could help them concentrate or meditate for a longer period of time. 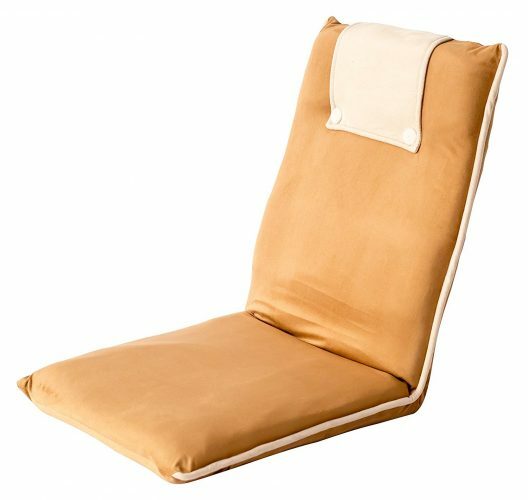 Being extremely comfortable to meditate on, the meditation chairs have become the new cool in the recent past. This is the reason why we have compiled a detailed list of 10 best meditation chairs purely on the editor’s choice. Meditation is not a child’s play. It needs a lot of patience and perseverance. That’s why people who are into meditation know the importance of having a good and functional meditation chair. Catering the need of long practice sessions with the utmost comfort they have become an important part of life. Let’s take a sneak-peak over the best meditation chairs of the year along with their major specifications. The fascinating feature about the meditation chair from Merax is it can also be used for casual uses like watching TV or working on the laptop. Coming in blue color it can be easily folded and stored at a place when not in use. With the dimensions of 40.2 x 3.9 x 20.1 inches the meditation chair from Merax weighs around 8.8 pounds and thus becomes one perfect choice for people who perform meditation. It has 5 joints which adjusted from being flat up to 90 degrees as per the use while meditation. 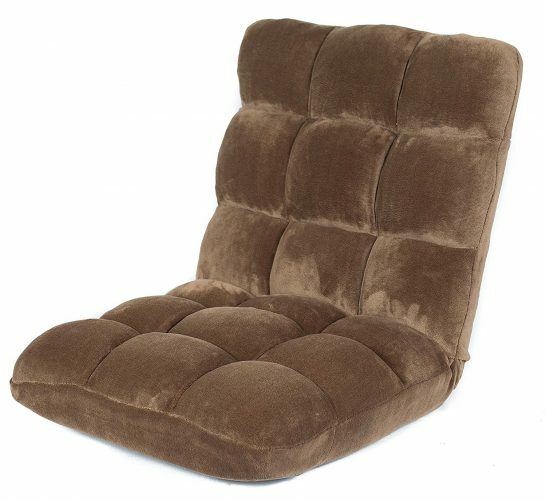 Since coral fleece material is used in its manufacturing, the chair remains comfortable with a protected interior mechanism. 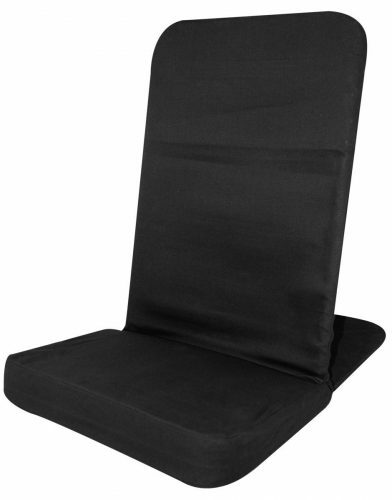 The alluring fact about the Merax meditation chair is it supports the entire back comprising neck, spine as well as waist so that one can perform a long meditation session without any discomfort and thus become one of the best to splurge upon. 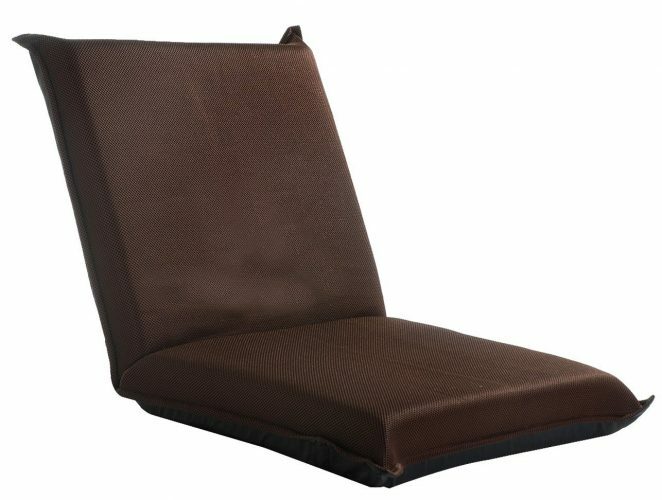 Yet another wonderful product is from My Zen Home Dhyana which due to its comfortable seating and soothing appearance has become one the best editor’s choice. It is a meditation cushion rather than the chair and can help you concentrate for a long period of time with the greatest ease. Coming with the dimensions of 20 X 24 X 4 inches My Zen Home Dhyana encompasses the weight of 4.4 pounds. Being light-weighted it can be placed anywhere you want to meditate. Either you choose the room or the balcony for meditation; it is good enough to port around. The cushion is made up of 100 % kapok with the utilization of organic cotton fabric. This makes it not just comfortable but reliable for being durable as well. One can choose this meditation cushion between many colors available in it and can make the meditation experience one of the best. Another in the row is the meditation chair from bonVIVO. It is the brand which has a specialization in manufacturing the best kind of chairs in the market. 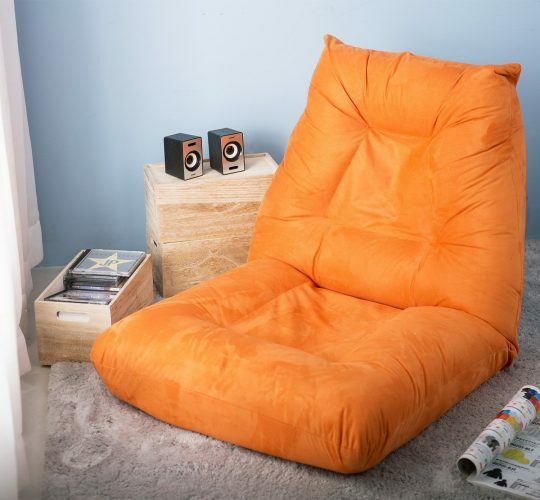 One can relax, meditate, read, watch TV and do other daily chores easily sitting in this comfortable chair. One can fold it and place aside when not in use. The chair comes with a backrest which endows a healthy posture while using it for meditation. With the weight of around 6 pounds and dimensions 39 x 16 x 3.2 inches, the chair comprises of very eye catching appearance. Thus it elevates the style quotient of the room as well. The presence of PU foam makes it highly comfortable and relaxing. With the weighing capacity of 220 lbs the bonVIVO meditation chair is easy to clean as it is made up of high quality stain-resistant synthetic fiber. A damp cloth is enough to wipe the dust and dirt out from it. 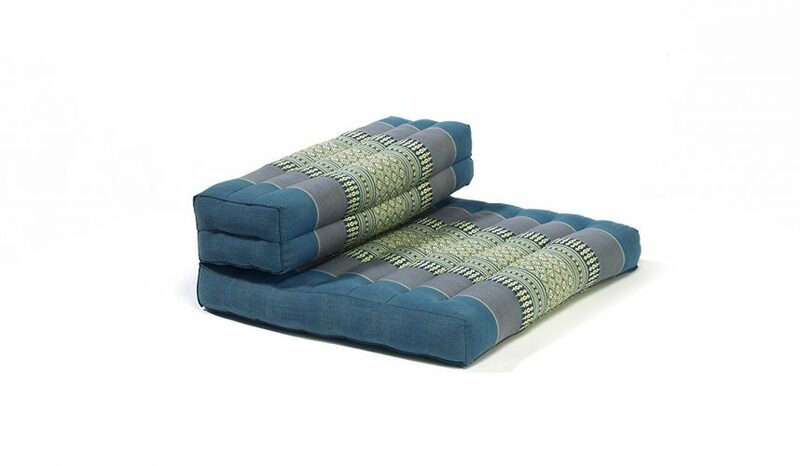 Being extremely comfortable and relaxing the yoga and meditation bedding from Zabuton Zafu is one of the editor’s choice as it has some of the features which allure people the most. Since top notch quality of materials is used in its manufacturing, it becomes durable and reliable as well. It comes in a set of 2 with black and grey colors. While the Zabuton comes in the dimensions of 3″ x 28″ x 36″ inches, the Zafu’s measures 6″ x 9″ x 15″ inches. This makes them spacious enough to perform all poses of yoga and meditation. With the thick and comfy padding, it protects from the hard surface of the floor and makes the meditation experience great. The seat is over filled with foam and endow a fluffy look to the product from Zabuton Zafu and thereby one of the best to ponder upon. The floor chair from the back jack has gained much popularity in the recent past and this is the reason why it becomes one of the editor’s choices as well. Being sturdy enough to make your sitting secure it is comfortable as well to give a wonderful experience while doing the meditation. It is made up of 90% cotton with an inner frame of steel. This makes the chair strong to hold even heavy weights. 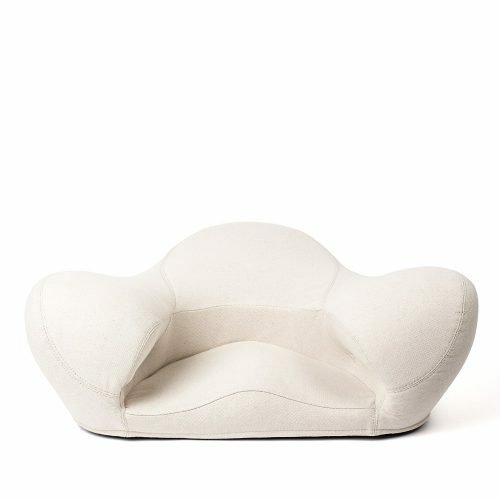 The presence of dense foam makes the chair highly comfortable with performing meditation. With the 14 inches wide and 21-inch tall backrest, the chair gives all reasons to splurge on it if comfort is the main priority. One of the alluring features of the Back Jack Floor Chair is, when not in use it can be folded and stacked conveniently. Thus taking a minimum space and handy enough to take anywhere it could be one perfect choice to look upon. Merax has not left any stone unturned to bring out the best kind of chairs for its users. Matching with the pace is its meditation chairs as well. Being compact in design when folded these chairs can be stored easily when not in use. With its own weight of 11.9 pounds and dimensions 47 x 26 x 6.9 inches, it could be one perfect choice if you prefer a spacious and comfortable chair for yourself. The chair can be adjusted to 5 different positions so that the neck, spine, and waist get full support and relaxation while sitting and doing long meditation sessions. The steel frame which is used in the manufacturing gives it a sturdiness required in any chair for reliability. The presence of micro fiber cover brings a comfy feel while practicing meditation and thus could be one great choice to splurge upon. This is something which everyone craves for and there are reasons to justify it. It’s a kneeling chair which endows utmost comfort while sitting as you can rest your knees on the knee rest it encompasses. Being ergonomically designed this wooden kneeling chair can serve multi purposes for the user. With the weighing capacity of 200 lbs the chair’s dimensions are 17.5 x 26.5 x 24 inches. Since thick padding is used in the seat one didn’t feel the hard surface of the wood and get a comfortable feel. Natural wood is being used in the manufacturing making it look aesthetically great. There are dual wheel casters as well in this meditation chair which makes it one of its kinds. The height of the back frame can be adjusted as per the preference of the user making it a wonderful product to look upon. Another amazing product from the editor’s choice is the adjustable position memory foam floor chair from BirdRock Home. From performing meditation to playing games; watching TV to doing other chores, this chair is the best to cater to all your needs with full comfort. Being foldable it can store easily at some place when not in use and thus require very little space. The chair weighs around 12.5 pounds and comprises dimensions of 41.25″ x 21.25″ x 6″ inches. With its feature of being adjustable to 14 different positions, it becomes a perfect choice for people of different heights. 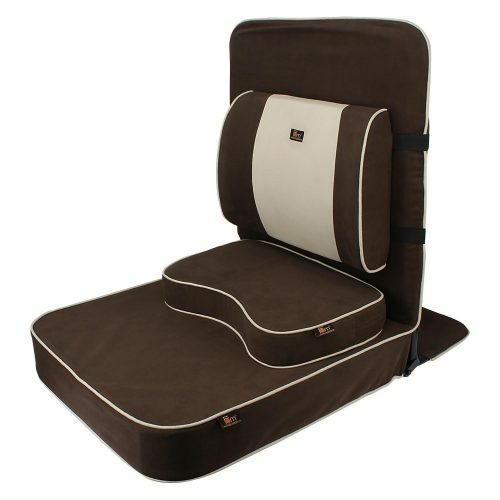 It provides full back support and with its thickly padded seat, it gives a very comfortable feel while doing meditation. When a registered yoga teacher and meditation facilitator design some meditation chair one can’t doubt its authenticity. Isn’t it? This is the reason why this chair secures the second position in the editor’s choice list. Ranked as number one meditation chair past year this is something which can’t be ignored while looking for some of the best meditation chairs. The chair has dimensions of 29.1 x 23.6 x 9.8 inches and weighs around 11.9 pounds which make it very comfortable to spacious to perform meditation. It has helped people suffering from back pain as the back rest is very comfy and relaxes the back muscles. Whether you want to sit in cross leg posture or straight, it ensures that your legs won’t get numbed even during the long sessions. The extra perk of getting this chair is, it comes with a complimentary water-resistant bag. With so many features in one chair, it could be one of the best choices a meditation enthusiast could make. The best one from the editor’s choice is the chair from Alexia. Ergonomically designed this meditation seat could be your ultimate companion while practicing meditation as it endows utmost relaxation. 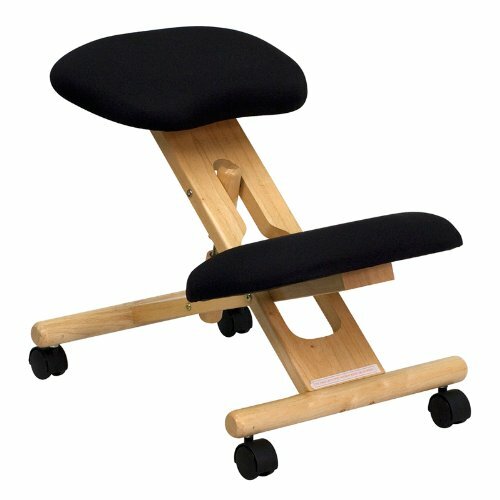 It provides the best posture which is needed while doing meditation and support the spine, waist, and knees while sitting. The sleek design of the chair makes it aesthetically beautiful and it could elevate the style quotient of your room as well. Whether you want to meditate or just relax and watch TV on it, it will endow a perfect posture. Since top notch quality of materials and fabric are used in its manufacturing the chair becomes durable and lasts for a longer period of time. With these enough reasons, this is the best meditation chair anyone can opt for without any second thought. While meditation is not just about sitting at one position, you need a lot of concentration while practicing it. This is the reason why a comfortable chair could help million times achieving the ultimate result of a good meditation session. These are some of the best meditation chairs so far which can be splurged upon.